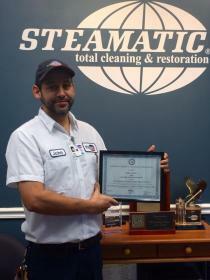 Steamatic in Greenville, SC is a proud local family owned and operated business. Mold is a type of fungi that grows in the presence of moisture, and will grow on practically any material, including wood, paper, drywall, and furniture. Mold testing can be used to identify the type of mold present, but any kind of mold that is growing inside your home can be harmful and should be removed. If you see or smell mold in your home, call a mold remediation specialist as soon as possible. Mold remediation is not simply the killing of mold, but the full removal of the mold itself and the underlying moisture problem. If the original water problem is not addressed, mold removal is only a temporary fix and the mold will soon resurface. Steamatic offers full mold remediation, from mold identification, to mold removal, to waterproofing the environment. In our homes and workplaces, hard surfaces such as floors and walls can become grimy and stained over time. Dirty, dingy surfaces with unsightly stains can be an embarrassment when entertaining guests at home, or when meeting with clients at work. Maintaining hard surfaces can be a time and effort consuming task, and you may not have the proper tools and cleaning products to get the job done. Past a certain point, no amount of elbow grease is going to help! Without the proper equipment, some stains on these surfaces can be all but impossible to remove. At Steamatic, we have the technology and experience to clean your hard surfaces and have them looking better than new. A fire in your home or business can be a devastating event, but Steamatic can help mitigate the damage with our fire damage restoration services. The sooner we can begin restoration after a fire, the better, as soot and acid residue can lead to permanent damage. The first step is immediate cleanup of soot and the elimination of smoky odors. This includes cleaning the interior of the building from top to bottom and vacuuming all floors and upholstery. The outside of your home or business should also be pressure washed to remove residue. We will clean any salvageable items and use special products to get rid of lingering odor. As fire restoration professionals, Steamatic has the equipment, products and experience to help you through this difficult time. Many people don’t realize just how important it is to keep dryer vents clean. Not only do dirty dryer vents restrict air flow and make your dryer work harder, but the buildup of lint can actually cause fires. In fact, over 15,000 structures are damaged annually due to dryer vent fires. Dryer vents should be inspected and cleaned at least every six to twelve months, preferably by a professional. Regular cleaning improves overall system performance, extends the life of your dryer, saves energy, and most importantly, mitigates potential fire hazards. If you are due for dryer vent cleaning, Steamatic’s certified technicians have the equipment and know-how to effectively maintain the vent system. Water damage, whether it’s caused by a minor leak or major flooding, should be addressed as soon as possible to minimize the effects. At Steamatic, we have the expertise and materials to inspect, dry and sanitize the affected area. Water damage restoration begins with inspection, using specialized monitoring equipment to determine the source and extent of the damage. The next step is to dry the entire area, followed by sanitizing and deodorizing, to ensure cleanliness and remove lingering odors. Thorough professional restoration will help to minimize effects of water damage, including the growth of mold. If your property has had water damage, Steamatic’s certified technicians can help restore it with state-of the-art drying equipment. The crawl space is typically the dampest, moldiest part of a house, and yet it often goes overlooked. Crawl spaces seep up moisture from the ground and can become a breeding ground for mildew and mold. Attics can be just as bad, the hot, humid air giving rise to mold growth. Luckily, Steamatic offers crawl space (or attic) encapsulation. This entails lining the walls and floors of the space with special insulating material, which keeps moisture from affecting the structure, and the rest of your home. Crawl space encapsulation is a great preventative step in preserving your home. If you don’t take proper care of your crawl space or attic, more serious issues could develop, including structural damage. If you are concerned about your crawl space, trained and certified Steamatic technicians can help. Since 1968, Steamatic has been providing homes and businesses with top-quality carpet cleaning solutions. We are leaders in steam-cleaning, providing exceptional service and delivering amazing results. Carpets and rugs become dirty and stained over time, and regular vacuuming can only do so much. Steam-cleaning technology eliminates tracked-in dirt and can partially or completely remove stains. Our technicians will first do a thorough spot-clean to tackle the worst stains, and then go over the entire area with our steam-cleaner. We use a hot water extraction method to remove dirt and stains, which never leaves residue or harsh chemical fumes. This leads to an overall improvement in the appearance of your carpets or rugs, as well as eliminating odor and allergens. 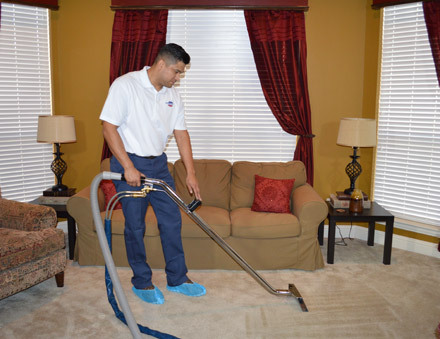 Steam-cleaning by Steamatic will extend the life of your carpet, saving you time and money. 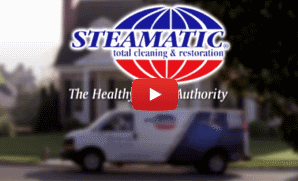 For over 40 years, Steamatic has been an industry leader in air duct cleaning. We can improve the air quality of your home and/or business by removing dirt, pollen and contaminants from your air ducts. Our equipment uses HEPA filtration to trap contaminants and prevent them from being redistributed throughout your home or business. Steamatic adheres to the strict standards of the National Air Duct Cleaners Association (NADCA), and all our technicians are fully trained and certified and provided with the best cleaning equipment. Regular air duct cleaning will improve the efficiency of your HVAC system, saving you energy and money. Removing contaminants from the air also has a positive impact on the health of your family or employees. 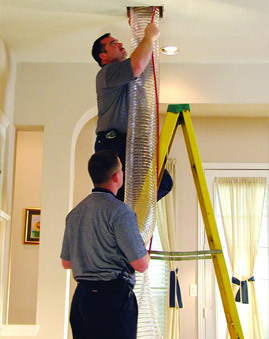 Steamatic offers the most thorough and effective air duct cleaning in the Greenville, SC area. 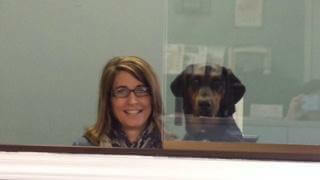 Owner Sandy Aycock and Sadie are always ready for whatever comes our way! Dawn always greets you with her friendly smile and her sweet southern voice. She is ready to answer all your questions and schedule the services you request. Meet Blake Kennedy, he can be found on the duct truck or in a crawlspace. Blake is always polite and willing to lend a helping hand. Meet Santiago Cediel, he maybe quiet but he sure knows how to bring your old dirty carpet back to life! Meet John , magician of all trades. From air duct cleaning to carpet cleaning and even a card trick. He will always greet you with his magical smile. Meet Zach Ledford , he's our Operations Manager. He is very knowledgeable on fire, water and mold. Zach is your go to guy if you have any questions! "I have had my carpets cleaned by this company before and each and every time it was done beautifully. Their technicians are courteous, friendly, and professional and do a wonderful job. I have no reason to ever look for another company. I highly recommend them." "Had service clean my much used sectional sofa. Was very pleased with the results." "The workers were courteous and respectful. They explained the procedure and seemed thorough in the job. Since it was done, I feel that the air is cleaner and my coughing and allergies have decreased." 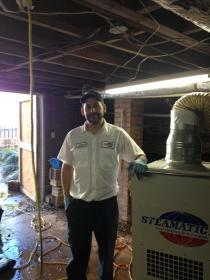 "I had to have my duct work cleaned out and Steamatic arrived on time and ready to go to work. John was very professional and helpful answering any questions I had. I would recommend them." "I want to thank Yancey and Austin for the great job they did in cleaning up my attic! They were very professional, polite, and sensitive to cleaning up as they went. The job took longer than expected but they did it right and I am most grateful for their good work. I will definitely call Steamatic if I have future "cleaning" needs. Thanks to Zach as well. He came out to the house for the initial inspection and then again before they began working. I have been most impressed with the team!! Thank you!!" This is the second time I used this company to clean the grease trap at the restaurant I manage and they did a great job sentiago was a friendly fella and went above and beyond. Will keep using them for all cleaning needs." "I was provided with excellent service by your company, and I truly appreciate it. I am highly pleased with the professional manner in which my cleaning technician (Santiago Cediel) dry cleaned my mattress. You have definitely gained a new customer who will refer all of her friends to Steamatic." "Job done efficiently and thoroughly. Our serviceman was polite and friendly and did a great job. Well done." Great Carpet Cleaning Job on Our Office! My name is Doug Payne and I'm the owner of Extreme Colors Auto Spa. Our carpet was really starting to look bad as we had been tracking dirt in from our work area into our office area. I gave Steamatic a call, based on a referral from a friend, and I'm glad I did! The carpet cleaning rep, Santiago Cediel, was very professional in every way. He explained exactly what he was going to do, did it exactly as he described, then had me inspect his work to make sure I was satisfied. And I was. He was able to remove all the stains and the carpet looks new again. And I'm glad because we're hosting an Audi Club event this Saturday and I want our office to look as great as possible. Will definitely be using Steamatic again, I just want wait so long to get them out here next time!" Thank you! "I was introduced to Steamatic by my insurance company after having experienced extensive mold and water damage in my kitchen. Clint came out the day after my initial phone call to give me a quote for repairs He was kind and extremely sympathetic to my stressful situation and very professional. 2 days later John and Blake came out to take care of my home.I really felt that they treated my home as if it their own. To say the went the extra mile would be selling them short. They were also very professional, knowledgeable and kind. They took such good care of me (and my mold) and I would recommend them to anyone! Thank you Steamatic!" "Have used Steamatic numerous times and have referred many friends and they are always the BEST!!! Thanks Clint and Sandy!!" "Steamatic's crew was very professional from the estimate to the completed work. They cleaned out the debris, removed the old floor insulation (which had been installed upside down), cleaned and sealed the existing wood floor joists, and installed a bright white vapor barrier that allows you to see into the space. They kept us informed on how the work was progressing and did a great job of cleaning up after themselves. The completed work was as advertised, and has been a tremendous improvement to our home. We no longer have the "musty" smell and the air flow in the crawl space is the same as it is in our house. I was very pleased with both their work and the finished product." "Outstanding. Clint and his team provided the best service from the time I first called them to the end of the job. This cleaning came up at the last minute and they went over and above what was expected. I would not hesitate to refer them and give them my highest recommendation. Thank you Clint and the team at Steamatic!" Excellent Experience in Every Way! From booking the appointment, to the service, the quality of work and follow up, I could not be happier. I would highly recommend this company to all. They even got along with my dogs!"